The Whittier Alliance is 501(c)(3) non-profit organization. The work of our staff, Board of Directors, and teams of volunteers is part of what makes Whittier such a vibrant, diverse, and unique neighborhood in which to live, work, or eat. We operate on a very tight budget, and while we do receive funding from the City of Minneapolis, many of our activities are not covered by this funding. Your tax deductible donation allows us to keep delivering for Whittier. 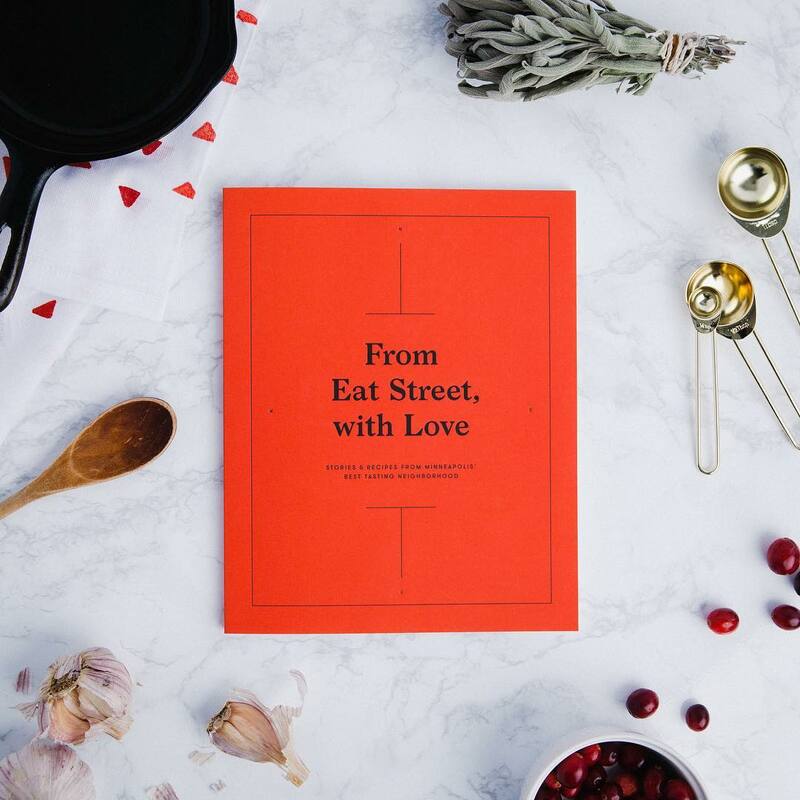 The only official recipe book of your favorite Eat Street dishes, this gem is the result of a collaboration with Zeus Jones and many of Whittier's iconic restaurateurs, "From Eat Street, With Love" is the perfect gift for the chef, history lover, or Minneapolis foodie in your life! Each book is $25.00, and proceeds directly benefit the Whittier Alliance's community-based programming. Contact info@whittieralliance.org to arrange a pick-up time or to pay with cash or check. Amazon will donate 0.5% of the price of your eligible AmazonSmile purchases to the Whittier Alliance neighborhood organization whenever you shop on AmazonSmile. Click here to sign up! GoodSearch, powered by Yahoo, donates one cent for every search to the organization or charity you select. GoodShop donates a percentage of every online purchase at participating businesses. GoodDining donates a percentage of your bill when you go out to eat at participating restaurants and use a registered card. Sign up to support the Whittier Alliance, download the toolbar, use GoodSearch every time you search and be notified when your online purchase will make a donation!